Ever notice that the Surface Pro/Book audio can be a bit quiet? You might be watching a movie with earbuds on and the volume can be turned up to 100% and it might still not be as loud as you need it to be. Right mouse button click the Speaker/Sound icon in the System Tray and select “Playback Devices”. 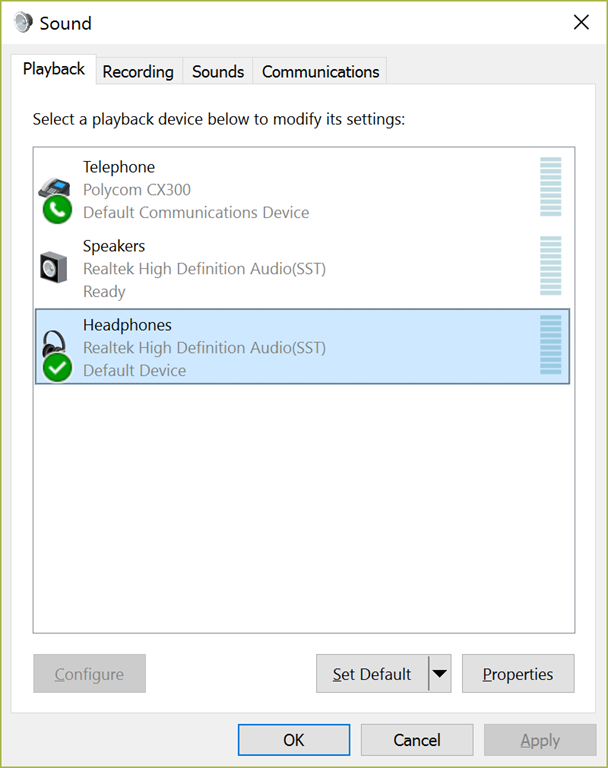 Right mouse click on “Headphones” and select “Properties”. 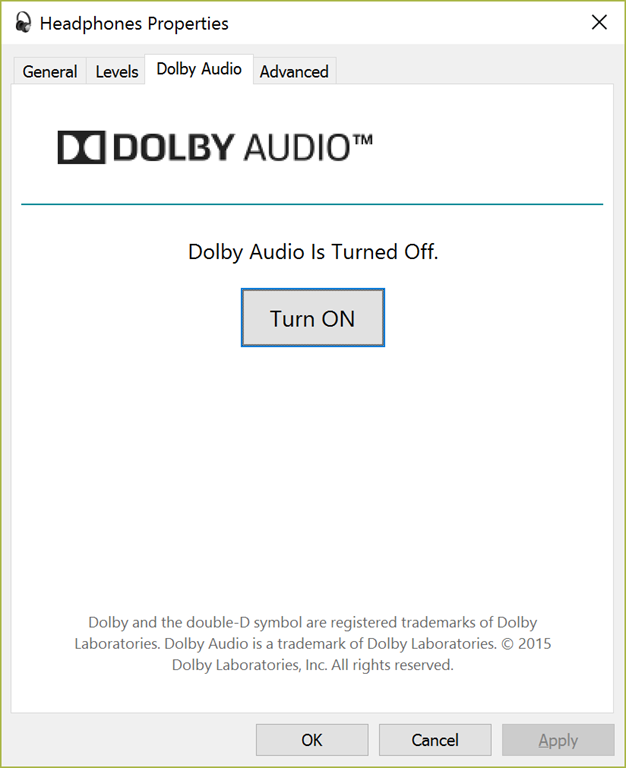 Select the “Dolby Audio” tab. Click the button “Turn ON” and click OK. This should hopefully provide a bit louder audio.